With the continued growth of online shopping, one large online retailer was interested in improving their operations within their distribution center locations. This online retailer turned to Comtrol when they learned of the DeviceMaster UP’s ability to support Master-to-Master communication. Traditionally, Modbus communication takes place between a master and a slave; the master gives out the command, and the slave answers back with the necessary information: weight, size, temperature, etc. Although many industry experts believed Master-to-Master communication wasn’t possible, Comtrol has discovered a way! 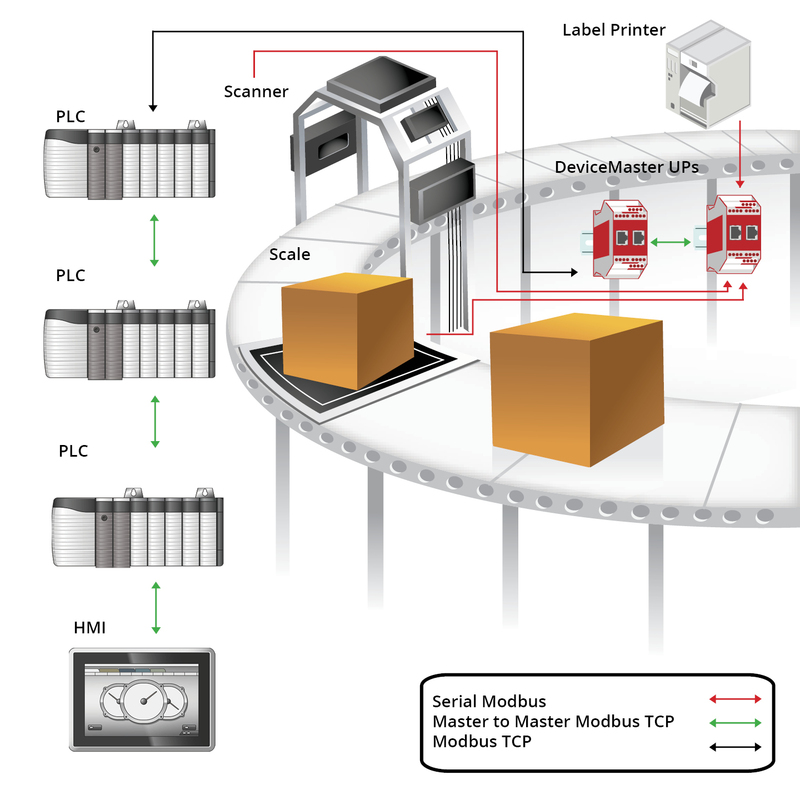 Through the purchase of Comtrol’s DeviceMaster UP 2-Port 1E Modbus, the DeviceMasters support multiple functions within the distribution center, including a scanning, labeling, and printing process. Orders are weighed before they receive their appropriate shipping label, and to ensure accuracy, the DeviceMasters communicate with one another sending information regarding the size, weight, contents, etc. to ensure the package is receiving the correct shipping label. Impressed with the improvements in their distribution center, the large integration project was given the go ahead and is now being implemented in additional warehouses in Europe, North America, and Canada.